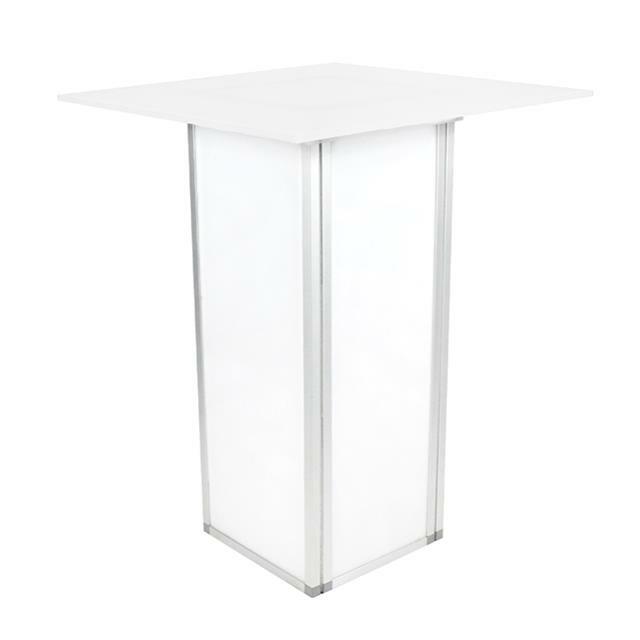 Modular, lighted, portable, high-boy cocktail tables are high-gloss, white acrylic framed with strong aluminum for a modern and sleek look. 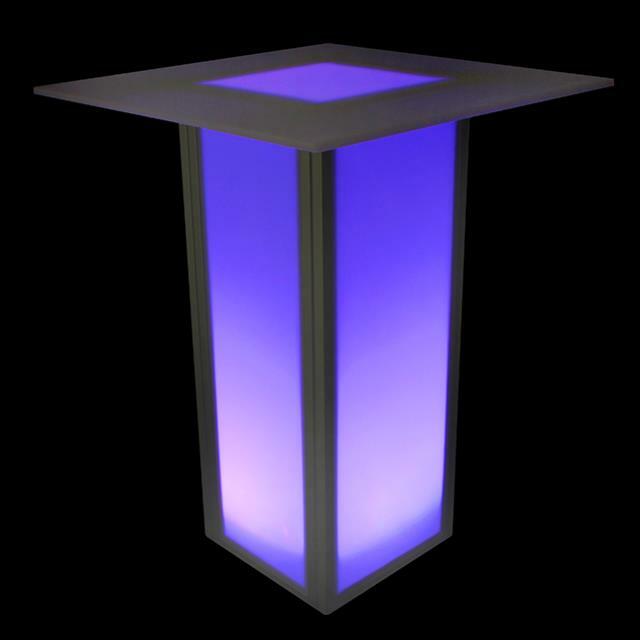 This table comes with an LED Puck to illuminate the base. * Please call us for any questions on our vision table 32 inch square top 42 inch high rentals serving Miami, Fort Lauderdale, West Palm Beach and surrounding communities with quality event & party rentals.